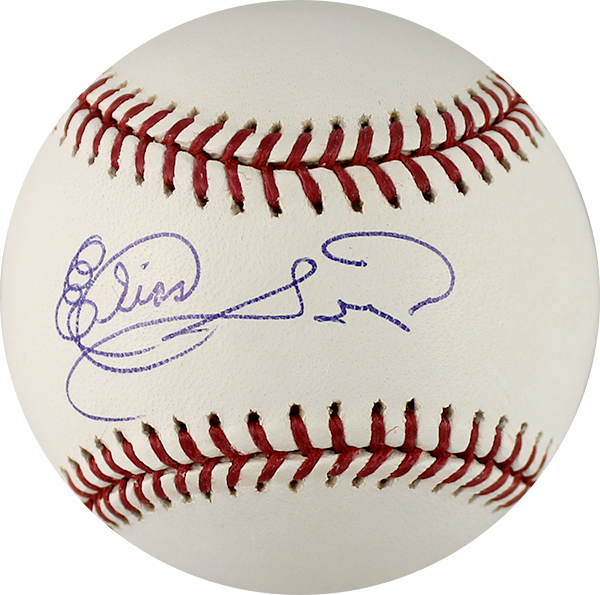 These Rawlings official Major League baseballs have been personally hand signed by Elias Sosa. Each autographed baseball includes authentication from Major League Baseball and Mounted Memories. Throwing 538 strikeouts in his career, Elias Sosa only gave up 64 home runs. One of those home runs happened to be pitched to Reggie Jackson for his second home run in Game 6 of the 1977 World Series.